Enabling citizens to have an impact on political and administrative decisions which affect them is one of the most significant challenges for democratic societies. In recent years, there have been many instances where citizens felt that their voice was not heard and that their interests were not appropriately considered by decision makers. Two notable examples in Germany are the construction of a new train station in Stuttgart (Stuttgart21) and the (failed) school reform in Hamburg. Besides these prominent examples, there are many more controversial decisions that have been taken by political representatives and that met with significant resistance by those who were affected by them, in particular at the local level. This suggests that electing democratic representatives might not always be sufficient to gain endorsement for political decisions and that affected citizens actively demand additional opportunities for engagement in order to influence these decisions. Using internet-based technology offers the opportunity to realise such engagement on a large scale. In particular, this would enable participation with significant less effort and costs, for almost arbitrarily large groups in a manner that is independent of location and time. Even though online participation has significant potential to strengthen the acceptance and the quality of political and administrative decisions it is not yet in widespread use. And even when it is used, it often falls short of the expectations envisioned by those organising the online participation process or participating in it. The development of an multidisciplinary scientific basis for online participation. The structured training of young academics to enable them to scientifically analyse and practically implement and design online participation processes in multi- and transdisciplinary teams in all its relevant aspects. The networking of practitioners in online participation projects, providers of online participation solutions and scientists. Multidisciplinary research: In the programme scientists from the fields of Computer Science, Business Studies, Law, Sociology, Communication Studies and Political Science cooperate. The mentoring of the PhD students takes place in multidisciplinary teams. Transdisciplinary research: Relevant actors and institutions from different parts of society that are concerned with online participation participate from the beginning in the research process of the programme and contribute their knowledge gained from the practical application of such processes. Academics collaborate closely with practitioners to identify and solve pertinent problems. 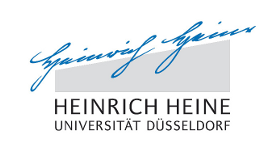 Cooperation between University and University of applied sciences (“Fachhochschule”): In the context of the programme the University of Applied Sciences for Public Administration of North Rhine-Westphalia and the Heinrich-Heine-University of Düsseldorf collaborate closely. This includes especially the joint training of young academics. The PhD programme is one of twelve projects funded by the North Rhine-Westphalian funding scheme “Fortschritt NRW” to the amount of approximately 2,5 million Euros. Its project life span initially amounts to 4,5 years until the end of 2018. After a positive evaluation of the programme, a second cohort of PhD students have started their research in January 2019 and will finish their PhD until Summer 2021. A comprehensive description of the project can be found in the second application of the programme (in German) as well as in its statute (in German).